My kiddos had been trying to persuade me to build a mantle for displays at my craft sale. I truly wasn't inspired to build anything. To be honest I was quite overwhelmed with all that I needed to do to get ready for the sale; I was not wanting to add any more projects to my list. Two days before my sale, I came across this shelf and BOOM! My creativity kicked in. My son and I went out to the garage and found some trim that was given to me and some wood scraps. 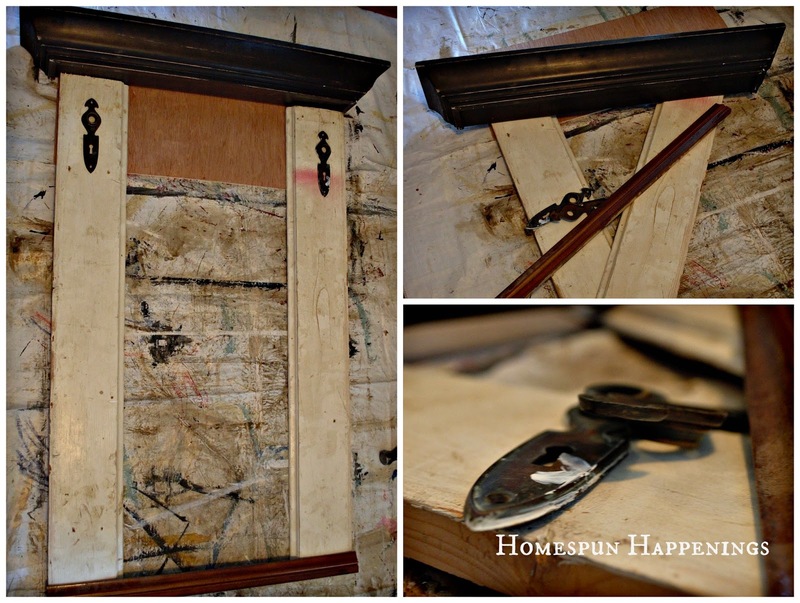 :) I also remembered that I had asked my son to take some hardware off of an old door. Now it was time to put it together and paint. 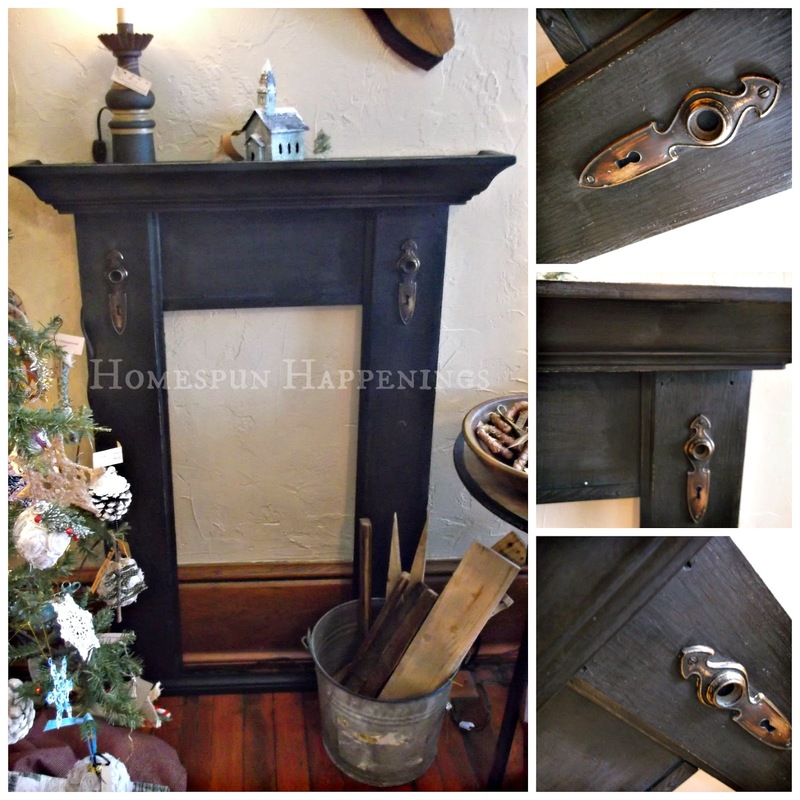 I used Annie Sloan's Graphite and waxed it with dark wax only. I knew that Graphite was not going to be black enough for me. I truly love the way it turned out.